Have our Tampa Bay traffic prayers finally been answered? If you're local to the Howard Frankland, what do you think the new bridge build means for our traffic patterns? Click here to view the full article. 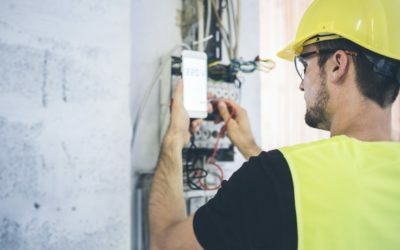 The National Electrical Contractors Association (NECA) makes its first significant update to the apprenticeship training program in 20 years by including more technology training! Click here to view the full article. The St. Pete skyline looks like it may be receiving a new 25-story addition! Click here to view the full article! 92% of construction firms using drones have reported seeing an increase in ROI within the first year. Click here to view the full article! Many electrical construction firms in the nation are finding it increasingly more difficult to find quality professionals for their projects. Click here to view the full article! 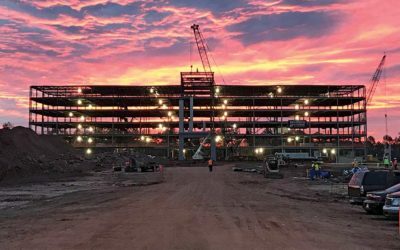 The largest and most expensive stadium to date is 40% complete! Click here to view the full article!